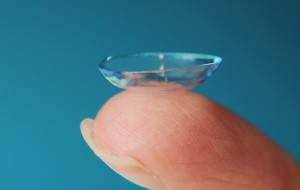 Contact lenses have evolved in recent years making tremendous advancements. As a result, more patients are finding success wearing contact lenses than ever before. Dr. Jacobs has extensive experience fitting contact lenses, even the "hard to fit cases". We will answer any questions or concerns you may have and make appropriate recommendations. Contact lenses are available in many varieties such as disposable, multifocal, astigmatism, colored lenses, scleral, and gas permeable lenses. Contact lenses can be replaced on a daily basis, bi-weekly, monthly, or quarterly. Together we will determine the best wearing schedule to fit your needs. A contact lens fitting begins with a thorough eye examination to ensure the most up-to-date prescription and rule out any pre-existing conditions that could interfere with contact lens wear. Additional procedures are often performed, including keratometry, to measure the curvature of the cornea, and corneal topography, which is a non-invasive mapping of the surface curvature of the cornea.. The cost associated with contact lenses involves a fitting fee and material fee. The fitting fee is for the services associated with determining the lens fit, training, and follow up care. The material fee depends on the type of lenses and supply purchased. In situations where contact lenses are medically necessary such as keratoconus and corneal transplants, we will work with your insurance carrier to make sure you receive the maximum benefit allowed. We look forward to working with you to meet your goals and make your experience with contact lenses a positive one.